Techiman has been announced as the regional capital for the newly created Bono East region. President Nana Akufo-Addo who made the announcement a ceremony to present the Constitutional Instrument (CI) to the chiefs and people iof the region. 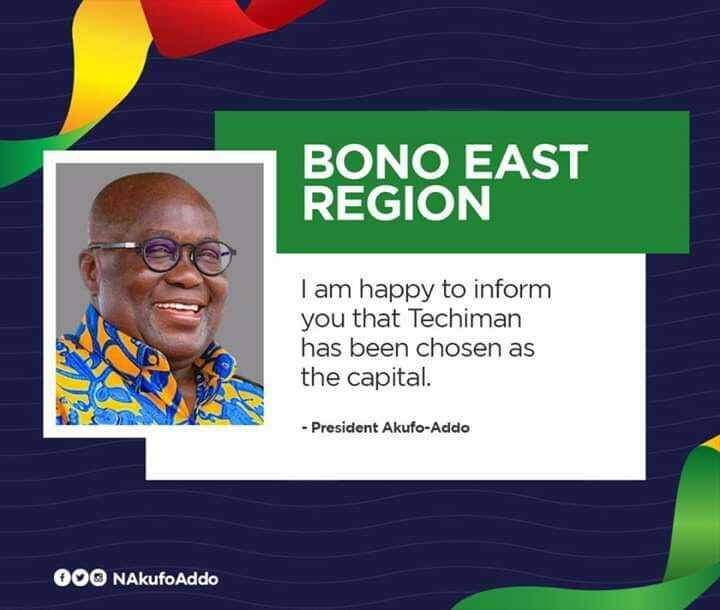 The president in his speech said the region has been allocated GHc20 million as seed capital to help in the establishment of the needed infrastructure for the smooth take off of the region.